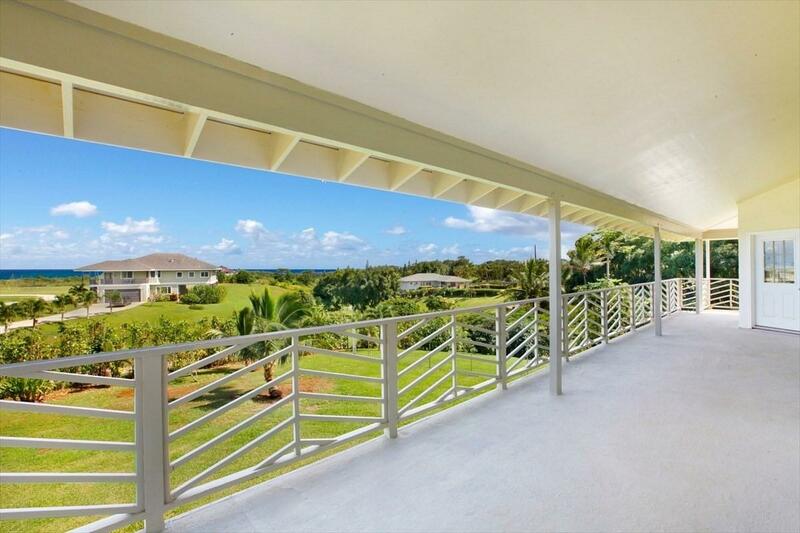 Ocean view home, elevated above Kapaa town, is ideally located close to the Kapaa bypass, making it possible to avoid the Kapaa traffic. Built in 2004, the home offers acreage in a newer neighborhood. The two-story home is designed for a large or multi-generational family with five spacious bedrooms, four of which are en-suites with private full bathrooms. There are two living room areas, one upstairs and one downstairs, plus a bonus room that can be used as an office, a home gym, a hobby/craft room, or a playroom for the kids, with each enjoying ocean views. 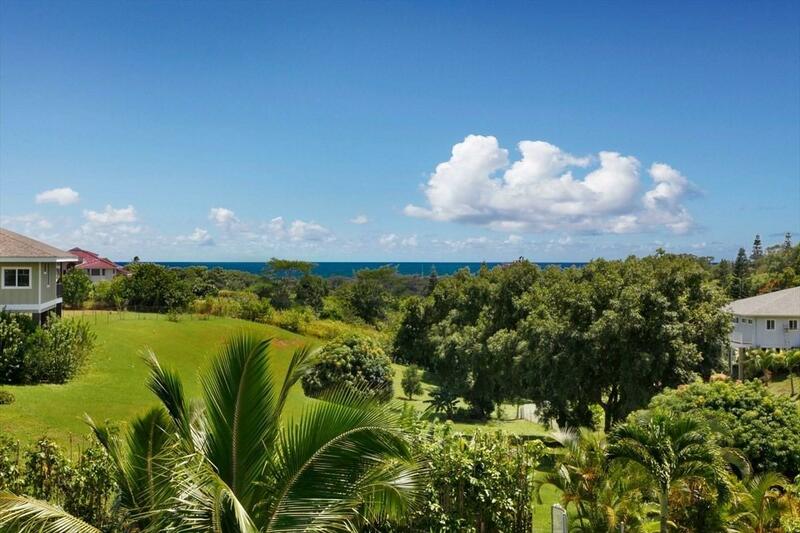 A wrap-around covered lanai faces east for ocean horizon views, beautiful sunrises and full moon views. 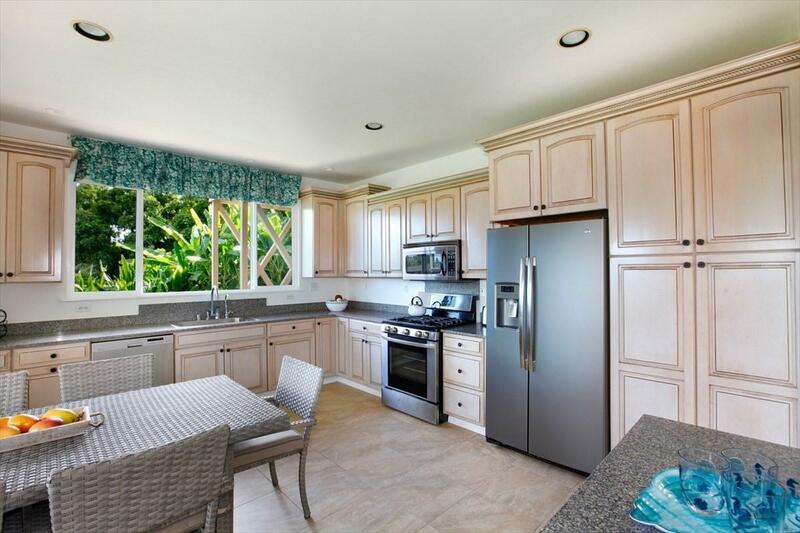 Spacious modern kitchen with bay window dining area. 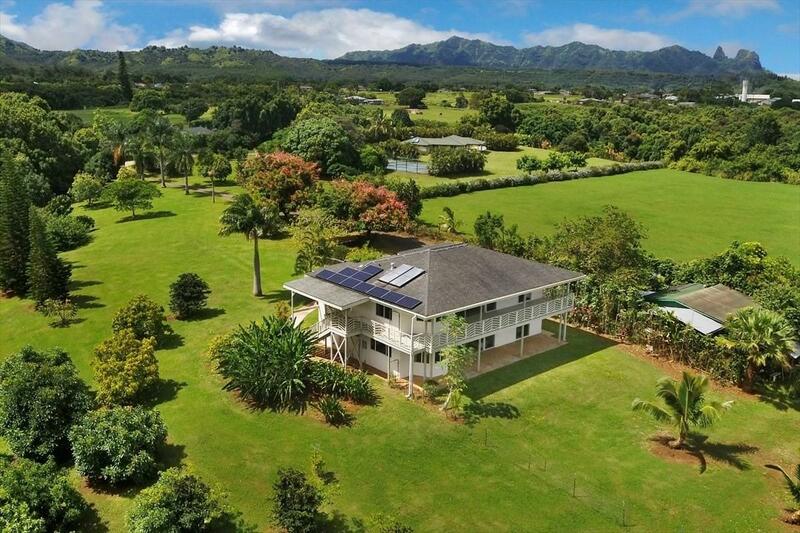 Simply but elegant finishes, plus a three-car garage, an agricultural building (used as a caretakers quarters), garden area, numerous avocado trees, and beautiful flowering Shower trees lining the driveway. Spectacular mountain and waterfall views are also enjoyed from the property. Wonderful home with ocean views on acreage close to town yet not in town. Perfect.